These days, image search engines are more advanced than ever. 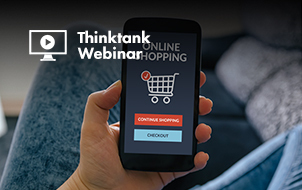 No matter what kind of image you want to find, chances are, with the right keywords, search filters, and tools, you’ll find it. Need to find a source for an image? Do a reverse image search. Want a high-res image to use in your next marketing campaign or on your website? Use advanced image search filters to find images with the correct usage rights. Even if you just want a big, beautiful photo to use as your desktop wallpaper, there’s an image search engine for that, too. Here are the best ones, in no particular order. TinEye is a reverse image search engine that helps you source images and finds where they appear on the web. The tool lets you search by both URLs and uploaded images. Just click the arrow icon in front of the search box and upload any image from your computer to find where it appears online. 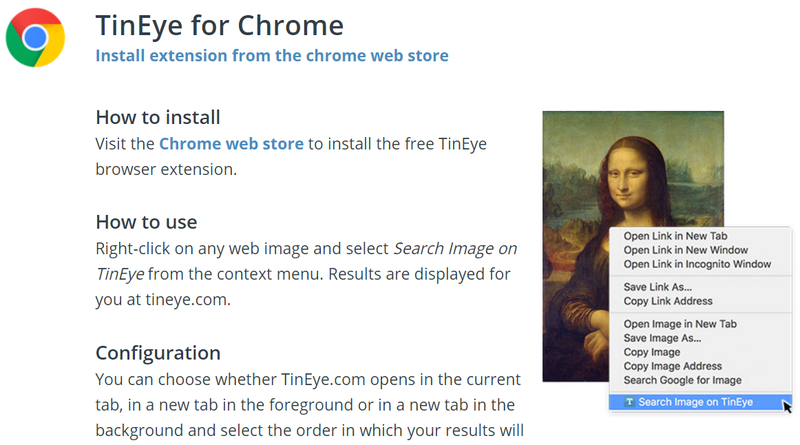 There’s also a TinEye Chrome extension for faster reverse image searches. It allows you to right-click on any image and search for it using TinEye’s technology. You can’t beat Google Images for basic image searches. Just enter a keyword and go. For more in-depth searching, there are lots of filters, too. 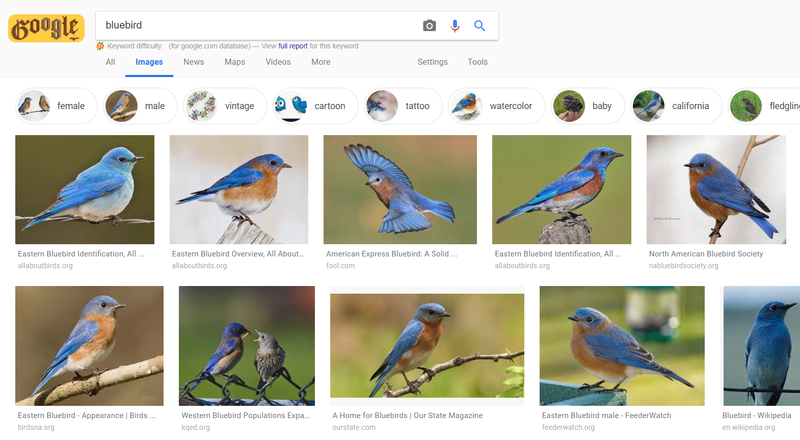 For example, when I search for “bluebird”, I can narrow down photos to just cartoons, vintage drawings, and illustrations, or even tattoo designs. Even further, clicking “Tools” gives you access to more filters: size, color, usage rights, type of photo, and when it was uploaded/created. This is super-handy for finding exactly the kind of image you want, as well as images that are royalty-free. 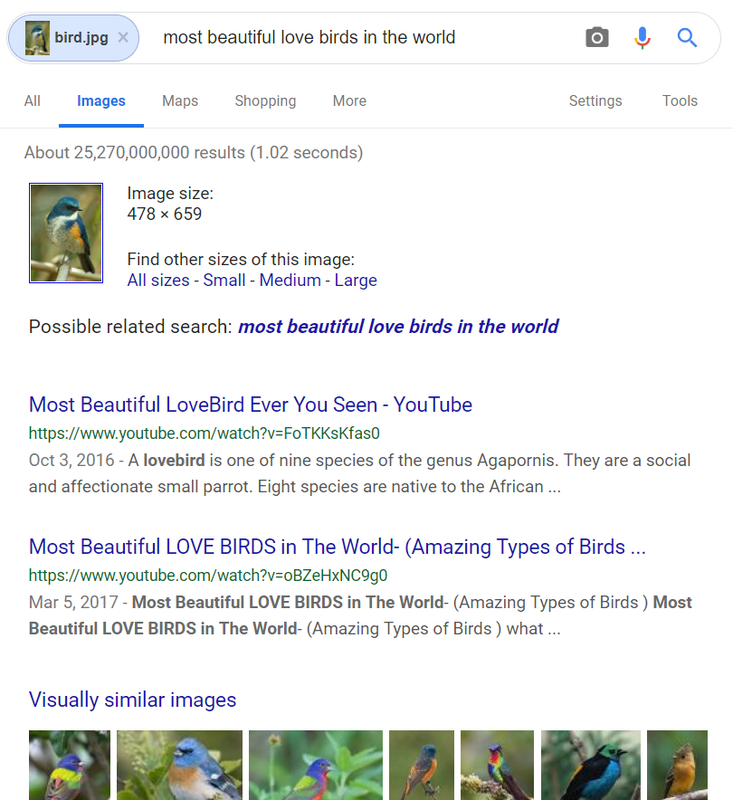 Google Images also offers a reverse image search tool. To access it, click on the camera icon in the search box. Another option for image search engines is Yahoo Image Search. This tool looks similar to Google Images, but the results are slightly different. You’ll also notice the filtering tools aren’t hidden, but easy to access. 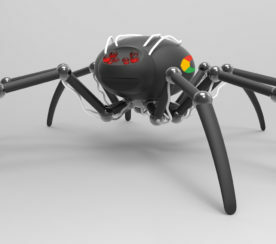 Want an alternative to Google? 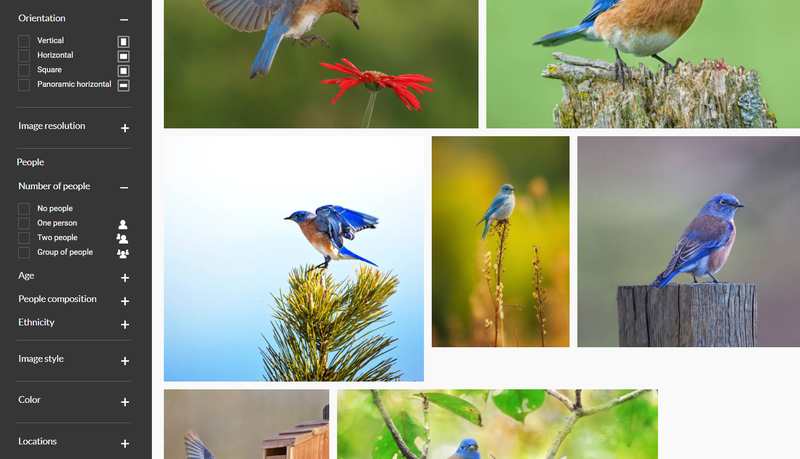 Bing Image Search is a little different because you start out seeing a feed of popular/trending images. One interesting feature is the People filter, which lets you choose photos of people according to how they were photographed (just faces or head & shoulders). 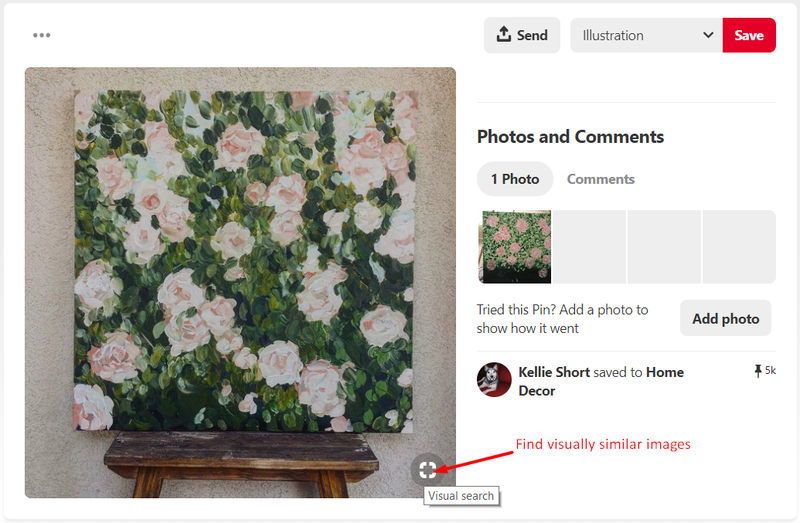 Did you know Pinterest has its own visual search tool? It makes sense since it’s an image-based platform. Click on any pin in your home feed (or on any profile or board). Click the icon in the bottom-right corner of the pinned image. 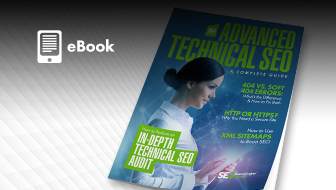 The tool will return visually similar results to the image you searched. 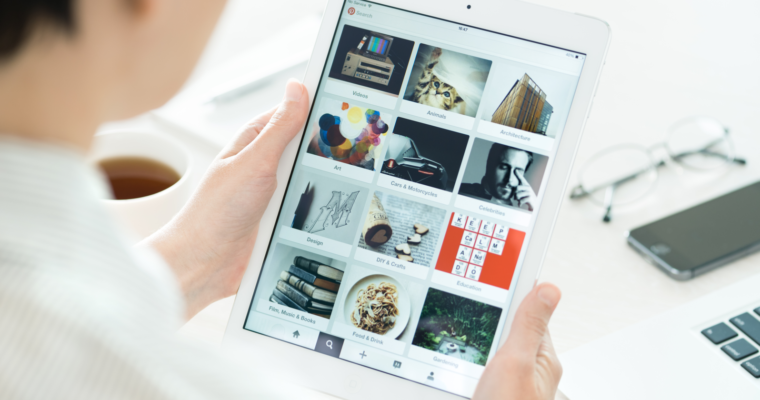 Pinterest has quite a large database of images thanks to user-created pins, so this is a source you shouldn’t rule out when you need to find a particular image. Looking for an image search engine with more varied results? Try Picsearch. 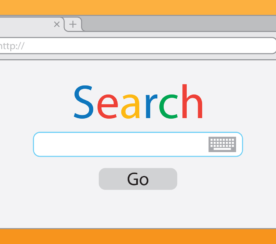 You won’t get results as specific as what you’ll find in Google, Bing, or Yahoo, but if you don’t need that, this could be a good tool for finding interesting photos that broadly match your keyword. There’s also a nice feature in the Advanced Search option that lets you filter images by size, including wallpaper-size. 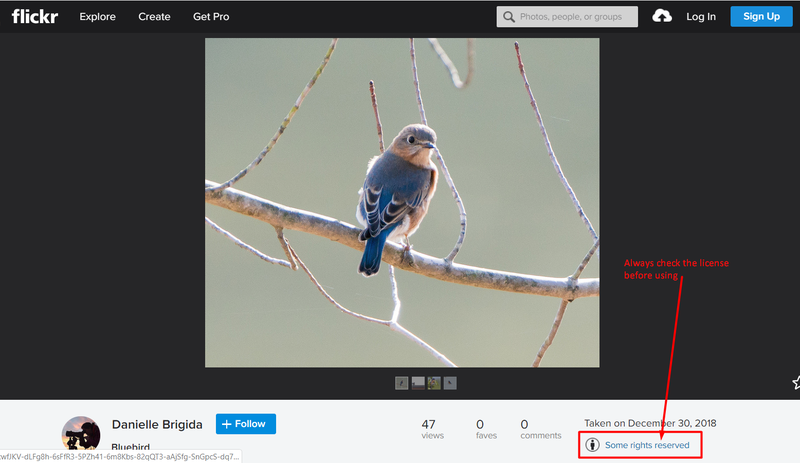 Flickr is a different kind of image search engine because the pool of images comes from amateur and professional photographers sharing their work on the platform. If you enjoy browsing and searching for beautiful photos, this is your spot. If you’re looking for photos to use in commercial or marketing projects, make sure you filter your searches by the correct usage license. For beautiful stock photos, check Getty Images. 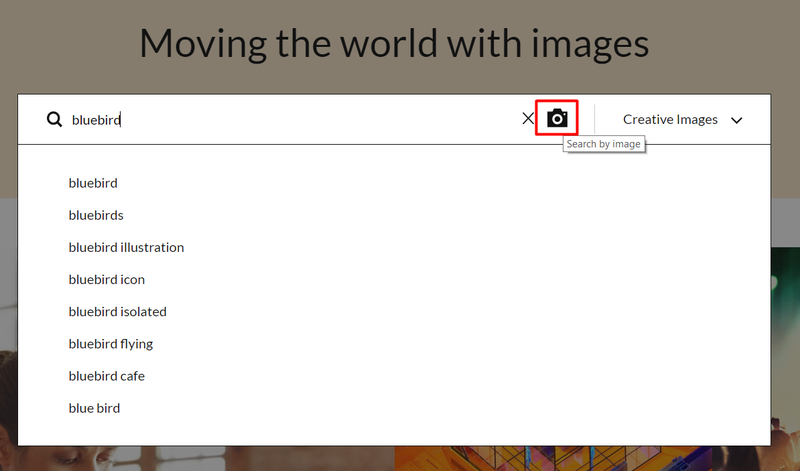 You can search by keyword or search by image – just click the camera icon in the search box. If you search by keyword, the auto-suggest feature has some helpful options to narrow down your search. Getty Images has an incredible array of search filters, too, so there’s no way you won’t find the exact type of image you’re looking for. Keep in mind: You’ll have to pay for a royalty-free license for whatever photo you want to use. Getty Images offers this licensing on an image-by-image basis, or you can purchase packs of photos for a flat price. 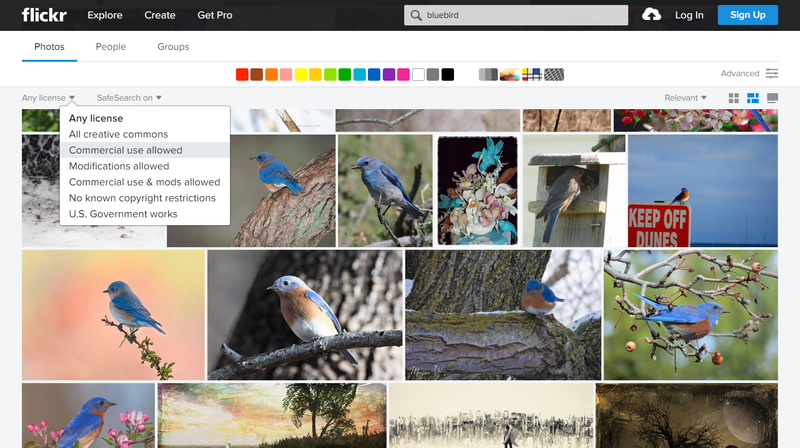 Another, cheaper image search engine for royalty-free stock photos is Shutterstock. Their image library is just as large as Getty Images, and their search filters just as in-depth. Shutterstock offers pre-paid image packs as well as annual plans. Their most popular includes 350 image downloads/month for $169/month. Another good option for marketers on a budget: get a pack of any 5 royalty-free images for $49. Looking for high-quality digital images, including high-res scans of historical books, maps, papers, sketchbooks, ledgers, photographs, and more? 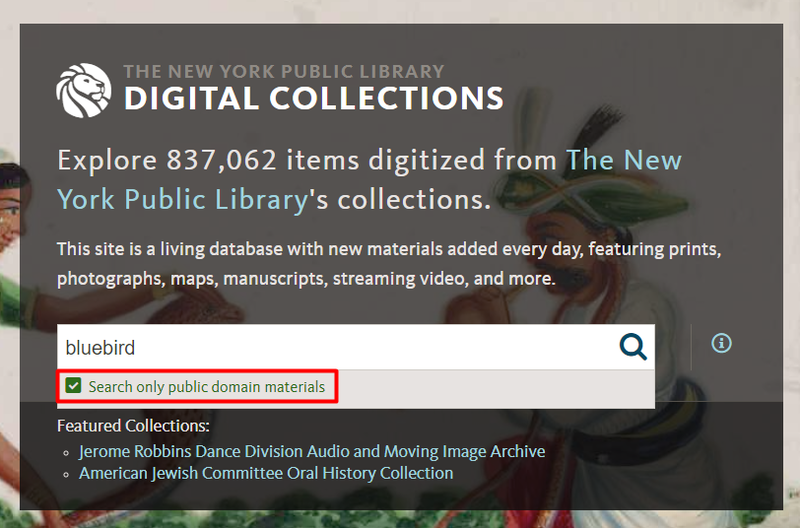 The NYPL Digital Collections has a vast archive of images in the public domain, which means you can use and reuse the images any way you like. It’s a great image search engine for finding unique photos. Once you start searching, it’s fun to explore the different digitized items. 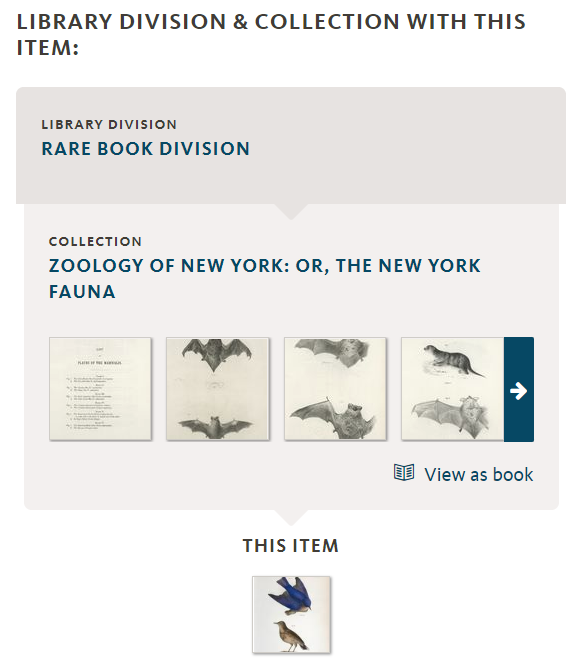 For example, this search led me to an illustrated page from a book on New York fauna. Quite simply, these are images you won’t find anywhere else. Overall, image search engines are better than ever. 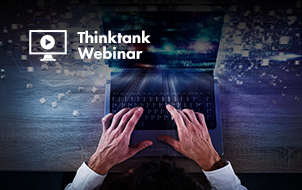 Don’t settle for just one – use the tool that best suits your needs. 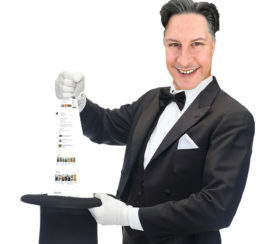 Make sure you play around with keywords and search filters to find those hidden gems. Furthermore, dare to stray from the confines of Google. 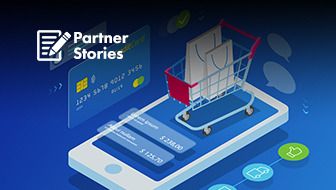 You never know what you’ll find – you just might be pleasantly surprised.